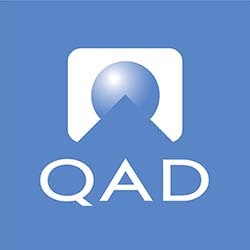 QAD Precision, a division of QAD Inc., provides industry-leading global trade management, transportation execution and multi carrier shipping software solutions from a single, integrated platform. Preeminent industry leaders in every region of the world rely on QAD Precision’s global support centers to leverage thousands of carriers and manage millions of shipping transactions every day. An ISO-certified company, QAD Precision assists companies to minimize shipping costs, optimize first mile and last mile deliveries, automate free trade agreement compliance, avoid customs delays and mitigate the risks associated with dynamic trading environments to maximize their competitive advantage. QAD Precision’s customers span multiple industries including banking and finance, life sciences, high technology, retail, industrial, automotive, higher education and public sector as well as logistics providers.